Do you work with generic articles on eBay? Then you may want to know how you define an image as the main image for the generic article. Go to the article master and select the tab Picture. In the column for the main image set the checkmark in the checkbox. 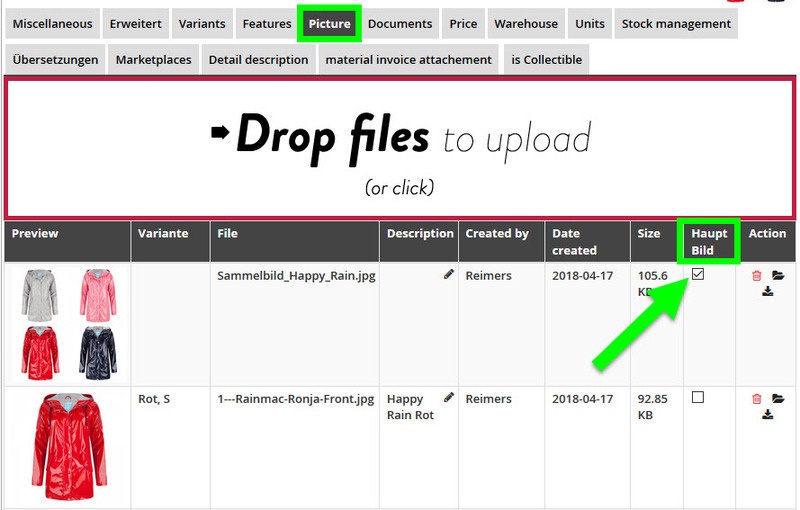 In the next marketplace synchronization, reybex will use your marked image as the main picture and update this information on eBay. What happens if no image is marked as the main image? If you have not set the checkmark in the checkbox, reybex takes the first image of the generic item and synchronizes it to eBay as the main image.